Janette Lockett was born in Yorkshire, England in 1963. Her passion for horses developed as a young child. Janette moved to Spain in 1986 where she found the perfect setting for her creative talent. She began her career as a self-taught artist using a technique which is uniquely her own and held her first exhibition in Fuengirola in 1989, followed by an extremely successful exhibition in Switzerland. Janette has also exhibited her work at various galleries along the Coast and in England. 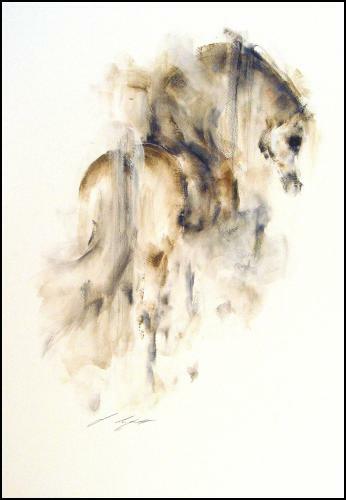 She has had “one-man” exhibitions at the Salon del Caballo in Sevilla, the Escuela de Arte Ecuestre Costa del Sol, the Hipódromo, Mijas and most recently at the Kempinski Resort Hotel, Estepona.